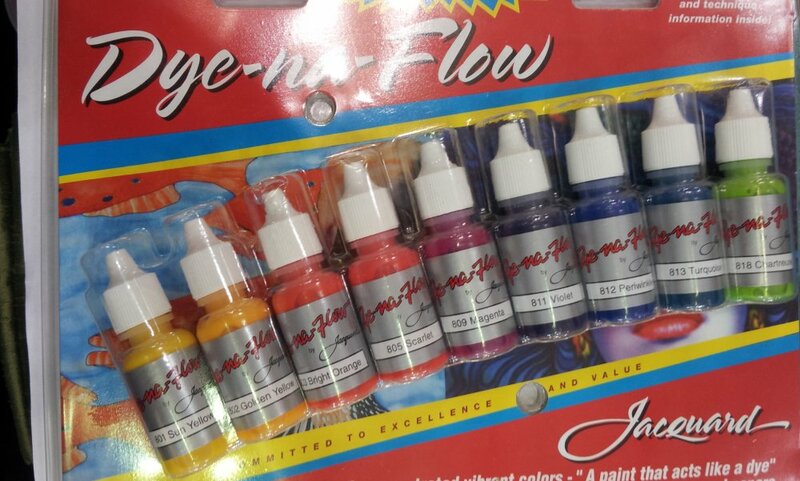 Dye-na-Flow - Highly-concentrated, free-flowing, Dye-Na-Flow fabric paint simulates dye. Designed for use on natural and synthetic fibers. Includes nine 1/2 fl oz./14 ml bottles with the following colors: sun yellow, golden yellow, bright orange, scarlet, magenta, violet, periwinkle, turquoise, and chartreuse.